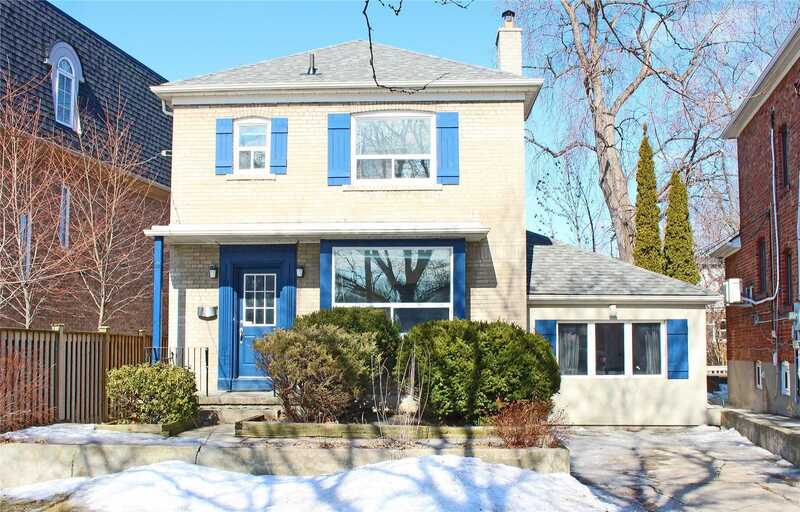 Nestled between Woodbine Ave, Coxwell Ave and Kingston Road, lies the Woodbine Corridor, a family-focussed community that offers an ideal mix downtown living and quiet, suburban escape. Formerly a working class district, the area is now home to several lush parks, and boasts excellent transport links to the downtown core. While residents aren’t quite in the colour and chaos of the epicentre of Toronto, they can still bask in the culture of Canada’s grandest metropolis. Just in the immediate surroundings of the Woodbine Corridor are Little India and Greektown, two areas known for their old world vibe, incredible food and lively communities. Because the Woodbine Corridor is slightly removed from the centre of the city, its residents enjoy relatively affordable housing, both for owning and renting. This has attracted numerous families, as well as commuters going downtown. With tree-lined streets, a colourful commercial strip just minutes away on the Southern Kingston Road, and houses ranging from detached Edwardians to an increasing number of towering condos, the Woodbine Corridor has plenty to offer people from all walks of life. The Woodbine Corridor has a Walk Score of 85/100. These digits are earned from having accessible commercial amenities available for residents, making day-to-day errands something that can be accomplished by foot. The neighbourhood scores similarly well for transit, tallying a Transit Score of 84/100. The Bloor-Danforth subway line can be accessed at Greenwood and Woodbine Stations, and the Danforth Go Station is just a short journey away. For motorists, Danforth Avenue provides an easy route to the Downtown Core, and commuters only need to drive 15 minutes to reach the Don Valley Parkway and Lake Shore Boulevard. Who lives in Woodbine Corridor? The Woodbine Corridor is home to a culturally and economically diverse group of residents. Compared to the majority of neighbourhoods in Toronto, it's a family-centric place, with the majority of households having children. The following data was obtained from the 2016 Woodbine Corridor neighbourhood census profile, and the City of Toronto Ward 32 profile. Average prices are determined by the realestatecondos.ca listings. The main retail centre of the Woodbine Corridor is Kingston Road. Here, a stretch of shops lends the area a small-town feel while providing big-city options. Many of the most-loved retailers on the strip, particularly between Pickering Street and Fallingbrook Road, have been a permanent features of the neighbourhood for years. For unique pieces and jewelry repairs, there is Rosie’s Fine Jewellery, a store which has been a part of the Kingston Road family for almost 15 years. Or join the fashionistas flocking to Neo, a long-time retailer selling womenswear, and unique accessories. For fresh eats, as well as in-store prepared grab-and-go meals, head to Courage Foods, an ideal spot to pick up last minute groceries, including local and organic produce. Another foodie favourite is The Big Carrot, which spent 33 years on the Danforth before opening a brand new location on Kingston Road in late 2017. The Woodbine Corridor is right in the middle of some of the best dining spots in the East End, namely the immersive cultural hubs Little India, just slightly to the east, and the famous Greek eateries located along The Danforth. Even beyond the well-known favourites on the main streets, there are plenty of fantastic options the locals rave about. It would take you years to try them all. At the south end of the neighbourhood you can find one of the city’s most popular burger chains - The Burger’s Priest, which serves up quick and quality burgers. For something a little fancier, there's Melanie’s Bistro to the North, with a decent BYOB rule six nights a week. Sample a taste of luxury at Sullivan’s Fine Chocolates and Teas. With just two tables in the entire shop, you have to get there early to really make the most of this delicious eatery. Sip on a variety of teas - black, white, green, matcha, rooibos - and indulge in authentic Belgian chocolate made from all natural ingredients. If your sweet tooth still isn’t satisfied, try out Sugar Plum on Kingston Road. Perfectly hand-decorated cupcakes, delicious cookies, cakes and other delectable sweet treats await you. Plus, the store also offers scented candles, soaps and cards, if you’re in the market for a last minute birthday present. If you want something a little more bitter, or...hoppier, grab a traditional pint at the classic Irish Pub-Mullins. With a mix of comforting pub grub, locally brewed beers on draught and friendly staff, this is one of the top after work watering holes in the neighbourhood. For arts and culture, the Yellow House offers a contemporary gallery and custom framing shop in Kingston Road Village, shining a spotlight on emerging talent - both local and from afar. The gallery hosts monthly receptions, which is a great opportunity for artsy locals to mingle. Another opportunity to get to know your neighbours while supporting your local producers is at the East Lynn Farmers’ Market. Operating every Thursday evening between June and October, this Farmer’s Market has been around since 1949 and gives local farmers the opportunity to sell everything from homemade pies to produce And tasty treats aren’t the only thing on offer; the event also provides entertainment, including face painting, kids crafts, live music and movie nights. Whether you want to take a stroll through beautiful natural environs, or find somewhere to let the kids burn off some energy after school, the Woodbine Corridor has the outdoor space to do it. To the south lies Orchard Park, which has a fire pit, splash pool, outdoor table tennis and kids playground. Just a little north is The Williamson Park Ravine, which is the perfect spot for a hike through the woodlands in summer, and some epic tobogganing in winter. Other parks in the surrounding area include Fairmount and East Lynn, both of which are home to various sporting facilities, as well as children’s play parks, wading pools and natural ice rinks in the winter. One of the real perks of living in the Woodbine Corridor is the proximity to The Beaches. Just a short drive or TTC journey will see you basking on the sandy shores at one of the many public beaches that line the city’s east side.